A few months ago, Saurabh Gupta had come to the Livelihood College at Kunkuri in Jashpur district of Chhattisgarh looking for a course suitable for him. He knew that the Livelihood College offered various professional courses related to different industries. The Kunkuri campus of the Livelihood College is an extension of the main campus at Jashpur town. The Livelihood College is an initiative by the State Skill Development Authority in Chhattisgarh to impart skill education to the youths of the state.The various courses offered at the college are aimed at making the youths employable in various industries. The courses are devised in such a way as to target those industries which have a high employment rate. So When Saurabh went to the Livelihood College, he found several courses which were offered there. The course on housekeeping attracted his attention and he chose to opt for it. As Saurabh enrolled for the course he got training in the various aspects of the industry. The college is fully residential and all the study materials are supplied free of cost to all the students. “I liked the course on housekeeping and I saw opportunities there. The teachers were also amazing.” He says. Saurabh says that the course has changed his personality and body language too. It has also increased his confidence level. Saurabh has recently been selected for a job. He thinks that it would have never been possible for him to get a job without this course. “I realised my potentials only after doing this course. Otherwise it would have never been possible for me. The training has made me aware of my capabilities and strengths. It has helped me to know myself. I have gained a lot of confidence and I can also communicate better.” He says. Saurabh feels that others should also come up to do such courses in order to build their futures. “I can come to the campus again and again and I would also like to get my other friends to do this course.” He says. He feels that this can be helpful for a lot of other youths too. “After doing this course I have developed as a person. Whatever I have learnt in this course will be beneficial for other works too. I can apply this knowledge to any field. This will help me develop in any field. I am glad that I took the decision to take up this course. This has brought a lot of change into my life. “He says. 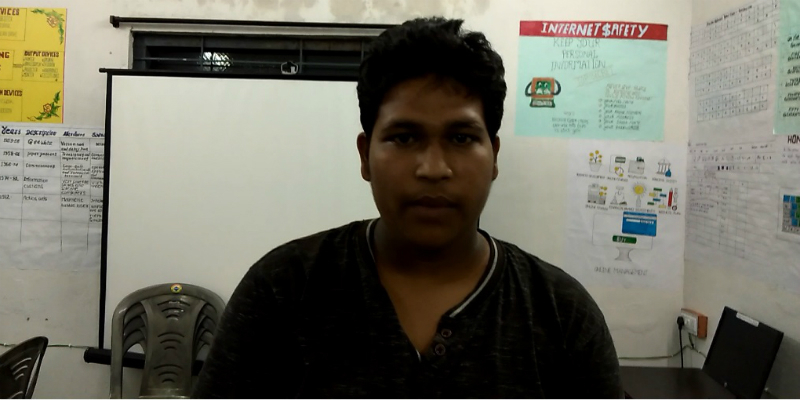 Saurabh’s story is an example of how the youths in Chhattisgarh are changing their lives with the help of skill education provided by the Livelihood College. The Livelihood Colleges in various districts are fulfilling the vision of the Chhattisgarh government to turn the state into a hub of skilled manpower. This is in tune with the emphasis on skill development by the government of India. The youths of Chhattisgarh are now looking at a better future with the emphasis on skill development by the government.